While I managed to resist quite a lot of the deals going on during the boxing day sales, I found it too hard to resist 50% off on Models Own nail polishes. It's safe to say my nail polish collection is fully stocked for quite some time! With another 50% off online deal just around the corner (put the 28th of January in your diaries!) I probably won't be participating this time but I thought I'd share what I picked up last time if you're in need of some inspiration. I have mixed feelings about the Hypergel collection but there were a couple of new shades from the Autumn range I had my eye on and thought it can't hurt to give them a go. Deep Sea is a greyish toned green with the hypergel finish. It's one of those shades that looks great on everyone and is a little more exciting than your average neutral. Also from the Autumn range, I picked up the shade Teal, which says it all in the name really. To me this seems more like a Summer colour but I'm not complaining. Last from the Hypergel range is Watermelon, which was from the original collection. It's a really fun, orange toned red and I'm sure I'll get a lot of use out of it during the warmer months. Moving onto other collections, I added to my Velvet Goth shades by picking up Sardonyx which is a gorgeous glittery red. Sadly after using it I remembered why I hadn't picked up more shades because the formula is so difficult to work with. A collection I was always intrigued with was the Ice Neon collection and I decided to give the shade Pukka Purple a go. As far as I can remember, these shades were supposed to be put in the fridge or something like that but who has time for that. It's a really lovely purple, pretty much an absolute dupe for Nails Inc's Bond Street Gel Effect. It's been awhile since I've broken out the pastels so Mint Icing from the Icing collection seemed like a good choice. I haven't tried this one yet but from swatches it looks like a pretty good dupe for Essie's Mint Candy Apple. 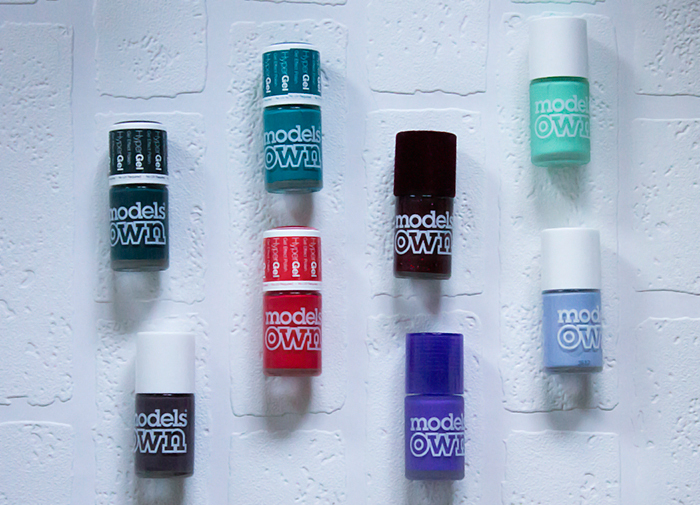 Last but not least, I picked up a few shades from the Models Own general collection. I've been really into my muted, neutral, Autumnal shades recently and I couldn't resist picking up Purple Grey. It says it all in the name really, it's a grey toned purple and it's such a flattering shade on the nails. The shade I currently have on my nails is Beth's Blue which is a gorgeous pastel blue shade, though I would say it has a touch of lilac to it. For a lighter shade, it applied really well and it's lasted long too. Hopefully that's given you some inspiration on what to pick up from the sale. If I had any tips on sale shopping, definitely have a look at the shade ranges, google image search swatches of shades you fancy and if you're keen, get in there early!